Children develop their sense of self and spirituality at ages birth to twelve. This is a crucial time for their spiritual development. Many parents do not want to raise their children in the religious background that they were brought up in. Because there is no other choice, they don’t teach them anything. Children are now very lost and feel disconnected. Many parents are turning to self-help and metaphysical teachings. But they too have not mastered the teachings to improve their own lives. Many that have, still don’t know how to teach it to their children. Children that are not empowered, look for ways to be empowered. For example: To feel better some children choose to bully others to make themselves feel more powerful. It does fulfill their needs, even though it is a synthetic type of power. And when a child is the victim of the bullying, he/she is also in a place of low self-esteem and is a perfect match for the bully. If everyone were connected to their own Source Energy, there would be no assaults, bullying or suicide. There would be no jealousy, insecurity, or uncomfortable feelings of not being good enough. If everyone understood the power of their OWN Being, they would not seek to control, manipulate or possess others. Any feelings of insecurity and hatred are born from our disconnection with who we are. Our connection with Well-Being would only bring Well-Being. Using just these few simple tools and methods, you can literally see your child get more connected with you and be more empowered. Confidence CD: This confidence CD is perfect to lull your child to sleep. Our minds are most receptive 30 min when we first wake up in the morning, and 30 minutes before we go to sleep. This is an important period to listen to uplifting messages. Put your baby to sleep with these affirmations set to soothing music. It will help them develop a strong sense of self and inner strength. Repetition of these empowering statements will become the foundation for their empowering beliefs. Powerful statement Sign for the Crib: Read these statements to your baby each night (put the sign above their bed). As you read them to your baby, the statements will also help you get into a higher vibration as well. Your baby will respond, react and mirror your energy. Saying these statements to your baby will help him/her be reminded of who he/she is, and will remind you as well. 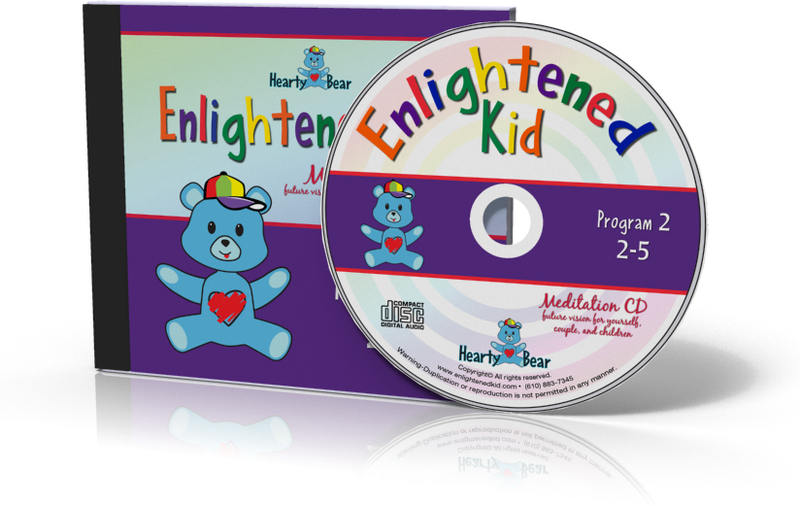 Meditation CD: In this mediation you will connect soul to soul of your baby so that there is harmony, peace and connection. Do this meditation with your baby, or by yourself. Many times parenting can be challenging. This meditation will keep you connected and aligned to not only yourself but to your baby. Empowering flash cards: Have your child play with these cards, mess them up and have fun throwing them around. Then ask your child to give you one card. You will then read the card and the empowering message to your child. 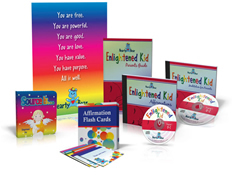 This will give your child empowering messages, and will also raise your energy. Parent’s Guide: Guides the parents on how to use each part of the program. Confidence CD: This confidence CD is different from the one for babies as your child is now able to comprehend more and this is prefect for them to listen to as their falling asleep. Powerful statement Sign: These are from their “I” voice. They are now saying I am instead of just the parent telling them so they are owning it. Meditation CD: “Connecting With Your Future Self” – Do this meditation with your child, your partner or by yourself for incredible life changing results. Many of the anxiety or fear we feel is because we are not connected to a bright and happy future. Empowering Songs CD: These memorable songs will help you and your child learn empowering messages and fun tempos. 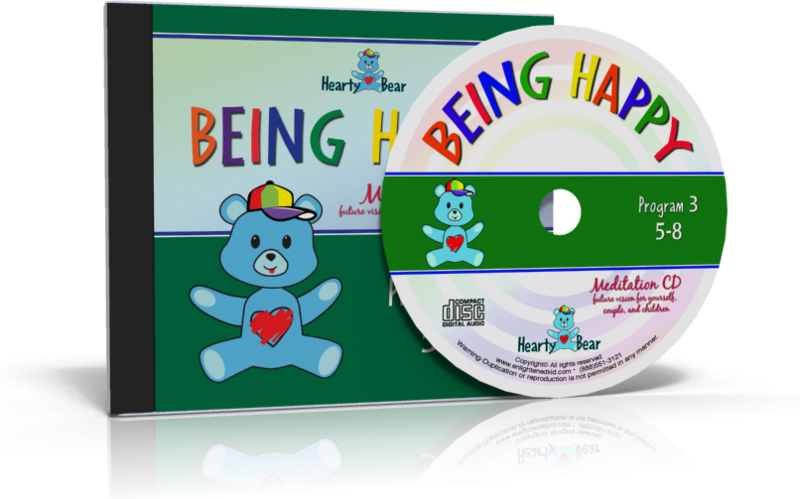 The six songs on the CD are: I am a Miracle, I Choose, It’s Energy, Ask, Trust Receive and Abundance and Me. “You Are More Than What You See” Book : This age group is able to understand that they are more than they can see. Let your child know that he/she is more than that by reading this amazing book and hearing the important messages to connect to their souls. Again, we continue on with even more powerful statements that really build confidence, security and a true sense of self worth. “Being Happy” – In this meditation you will connect with your awesome future self that has incredible relationships with your body, finances, career, child (or children), and your parnter. Do this meditation with your child, partner, or by yourself for incredible and life-changing results. Much of the anxiety or fear we feel is because we are not connected to a bright and happy future. This meditation will keep you connected and aligned to not only yourself, but also to your child, your partner and your joy. Have your child read these statements out loud each night (put the sign above your child’s bed). As you read them to your child and he/she repeats them out loud, the statements will help you get into a higher vibration as well. Saying these statements to your child will help him/her be reminded of who he/she is, and will remind you as well. This activity book has many things to entertain your child, while also teaching important lessons on abundance, power, and Source. Connect and play with your child while doing these activities. Read the statements to your child so he/she receives the empowering messages. This is a great tool for your child and your entire family. Each day is a day to practice one of the 7 Essential Universal Laws. By applying the practice on these daily cards you and your entire family will not only understand the laws, but how to apply them and gain the benefit from them. It is a great activity that just takes a few minutes each day to bond you as a family as you grow and expand together. 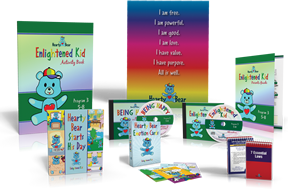 Your child will learn how to set the intention for their day, how to be appreciative and show gratitude for what they have by watching the lovable Hearty Bear move through his day. 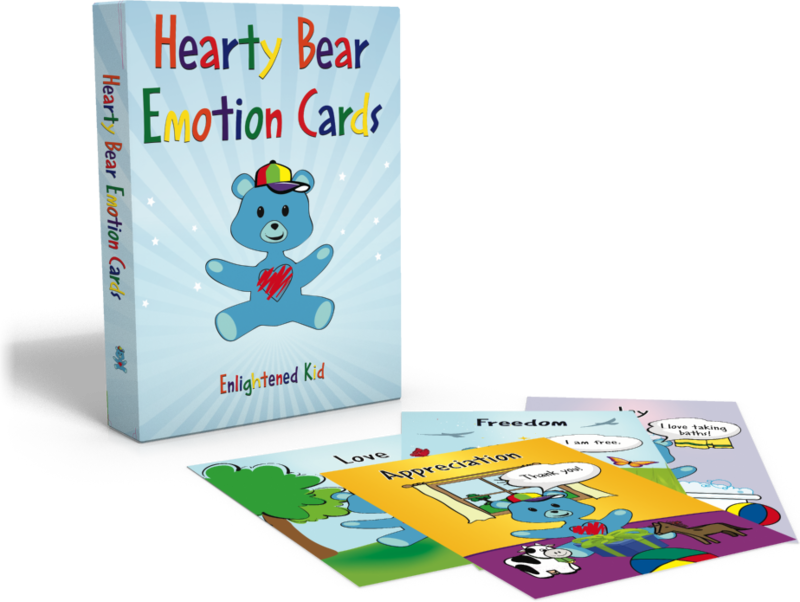 These bound cards show Hearty Bear experiencing the many different emotions that we feel. Understanding and acknowledging our emotions is vital to becoming healthy and balanced both as adults and as kids. 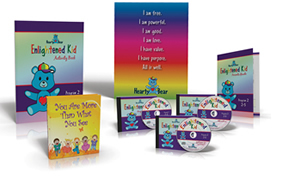 Receive all 3 programs above for a highly discounted price and ensure that your child continues his/her Enlightening development for years to come. 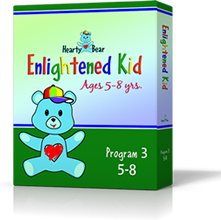 We are so confident that you’ll absolutely LOVE the Enlightened Kid program that we’re going to back it with our 90-day money back guarantee. 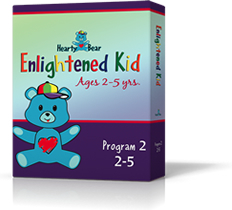 If for any reason you’re not completely thrilled with the Enlightened Kid program, just return it to us in resalable condition, and we’ll refund you’re entire purchase less the shipping and handling fees.